Kossuth Lajos u. 7-9, Realtanoda u-10, 1053 Budapest, Hungary. 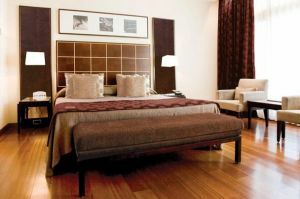 The Eurostars Budapest Centre is a modern and functional hotel with a state of the art facilities and innovative interior design. It has 175 bedrooms, including 3 Presidential suites and 6 suites. THe hotel also offers restaurant, library and 2 meeting rooms for all types of meetings and events. Located in the historic center of the Hungarian capital, in one of the main streets of Budapest where one can find one of the best architectural examples. 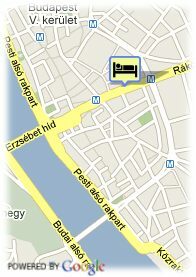 The hotel is just 500m away from the Danube river. Paid covered parking at the hotel (15.00 €). Children less than 5 year(s) old: free of charge.